I’m sure you’ve heard this before: You should see your dentist twice a year. Some of you may switch that around to think you should see your dentist once every two years. Some of you just hate seeing a dentist or are afraid it’s going to hurt, and stretch it out longer. So here are a couple of things to think about. If you come to our clinic for regular checkups, you’ll find we’re pretty good people to know. It’s also the best way to make sure these trips don’t hurt. Regular visits to your dentist is about preventing gum disease and tooth decay from occurring. If you see us for regular visits twice a year, most visits will be a walk in the park. And for those patients at risk of active decay, the sooner your problems are diagnosed, treatment is normally less costly and we can save more of your natural tooth structure. It’s our way to keep your teeth white and bright. See? That’s not a reason to hate seeing your dentist. Proper care of your teeth begins at home. 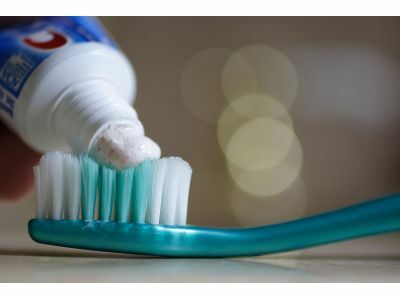 Brush your teeth twice a day with a soft-bristled brush, and replace your bush every three or four months, even sooner if the gristles become frayed. A worn toothbrush won’t do a very good job of cleaning your teeth. The proper technique is to place your toothbrush at a 45-degree angle to the gums and gently brush in short up and down strokes. Make sure you brush your teeth’s outer surfaces, inner surfaces and the chewing surfaces. Don’t forget to brush your tongue to keep your breath fresh by removing bacteria. Finally, floss daily between teeth to remove bacteria that toothbrush bristles can’t reach. Flossing also helps remove plaque and food particles between teeth and from under the gum line. Visiting our Battle Creek Dental office for a regular checkup allows us to keep your oral cavity in good health, diagnose disease at an early stage, and minimize the progression of gum disease. We remove both tarter and plaque building above and below the gum line. These can cause serious problems if left untreated. The experienced eye of our staff and the specialized dental equipment we use is needed to spot and treat your tarter and plaque buildup. And let’s face it, you really don’t want to go around with a yellowed smile and bad breath. We can clean and treat yellowing and stained teeth so you will no longer be embarrassed to flash your brilliant smile. The removal of plaque, tarter and bacteria will noticeably improve your breath and alleviate irritation. Dentists can spot more than tooth decay. There are a number of health problems that can be first spotted in the oral cavity., such as oral cancer, the risk of gum disease, and even signs of diabetes and kidney problems. So what are you waiting for? Give Battle Creek’s Halonen Family Dentistry a call today, whether it’s to schedule your regular check, or if you haven’t been to a dentist clinic in a while. Even if you hate coming to see a dentist, we want to change your mind so we can see your brilliant smile more often.